Thankfully warmer today but temperatures never broke above the mid teens with strong south to southwest winds all day, so it was still quite chilly. Scattered clouds with periods of sunny skies. 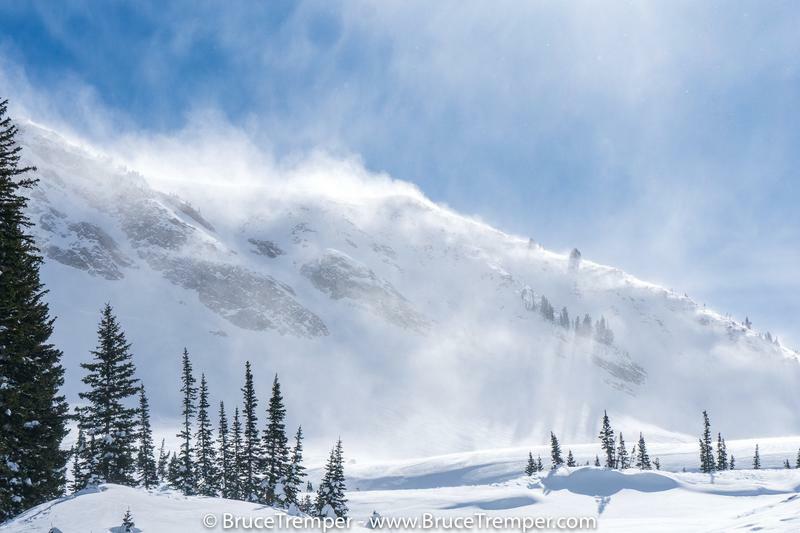 The strong southerly winds were moving lots of snow around in the tree line and especially in the above tree line alpine terrain. 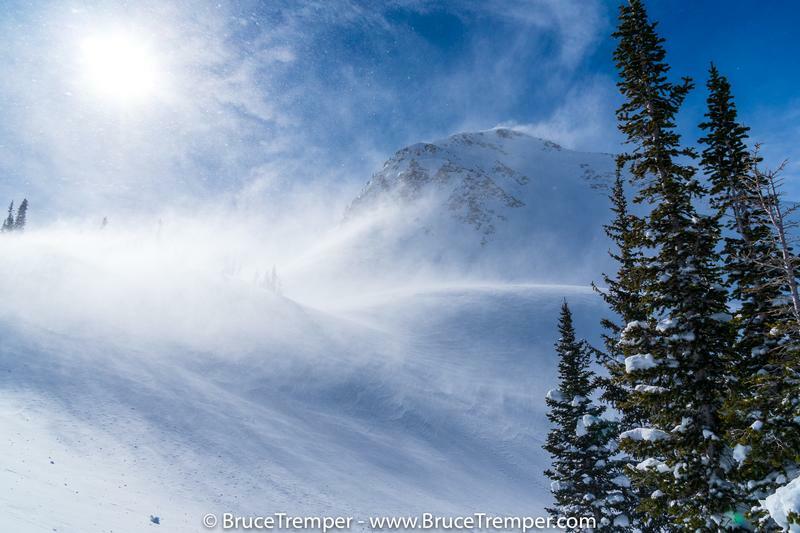 It created widespread areas of wind slabs and wind eroded snow. In wind protected areas the snow remained fairly soft but dense. The cold temperatures and density made it slow but still pretty good turning conditions. The snowpack in Little Cottonwood is certainly deeper than in Big Cottonwood. The copious amounts of new snow over the past week have finally covered the alder brush at lower elevations and total snowpack depths were around 2 meters or more in most upper level locations. 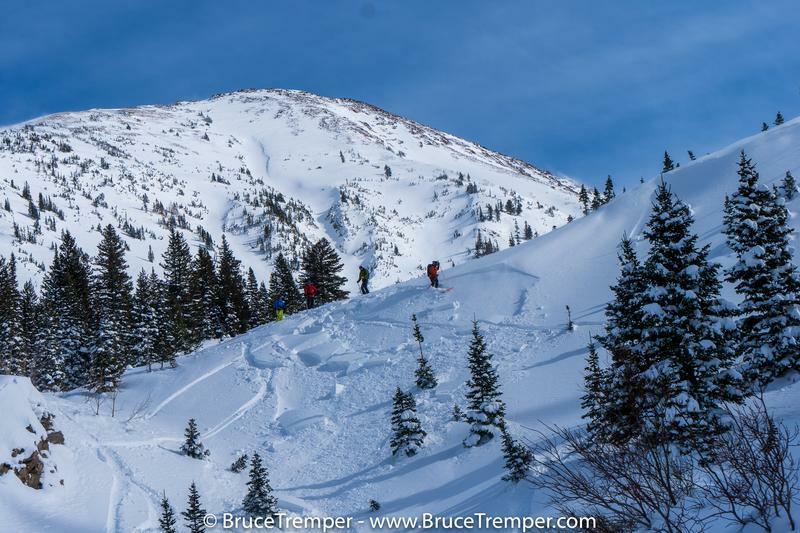 Wind slabs were the main problem today. The wind slabs were actively building with lots of cracking and we came upon one small, fresh, natural wind slab on a N-NW facing side of a valley moraine roll around 9,400'. From several snowpits around 9,400'on various aspects, we were not getting any propagations on the Feb 2nd interface near-surface faceted layer with total snow depths around 2.5 meters. The persistent weak layers seem to be gaining strength and we were not seeing any propagations on them in our several snowpit tests. around 9,400'. Most were buried about a meter deep and composed of the near-surface faceted snow near the Feburary 2nd interface between new and old snow. The snowpack was too deep to dig to basal facets. I added a few photos of the wind loading today in White Pine. 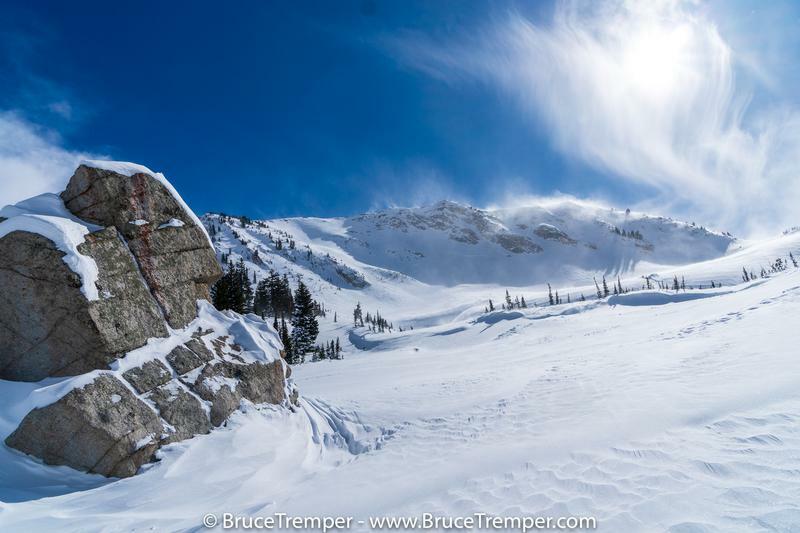 We traveled up to White Pine Lake and the photos include Lake Peak, Red Baldy, Birthday Chutes and one small, natural, wind slab we came upon around 9,400' on a steep moraine rollover. 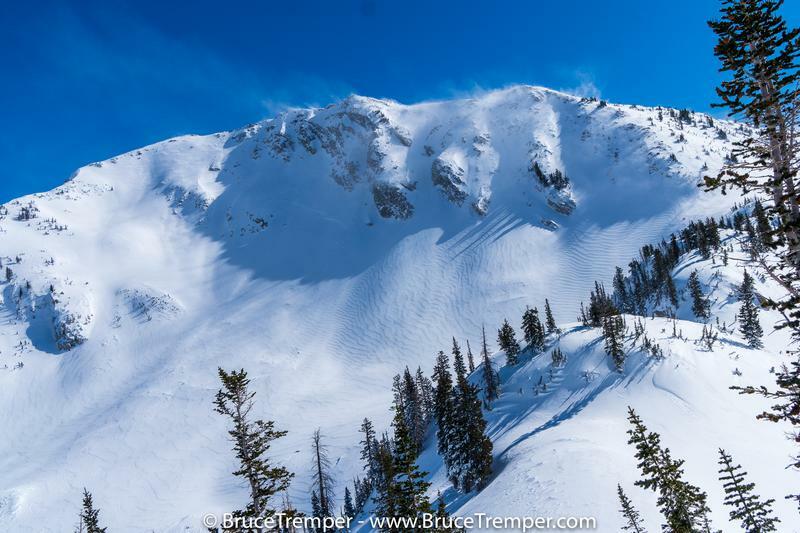 We noticed several older natural avalanches that occurred during the storm or towards the end of the storm with wind loading. These include east facing Rainbow Ridge, North facing Lake Peak, North face of Red Baldy and the NW face of Red Baldy. Many of them were covered by subsequent new snow and appeared to be about 3' deep and various widths. The one on NW facing Red Baldy appeared to be shallower and fresher so we suspected that it ran during the wind at the end of the storm.